These men laid the groundwork and worked out the details of practical systems of queen rearing. If you want to raise queens, these books are the place to start. When I first got interested in Queen Rearing these were the books I worked so hard to find. In my opinion they are the best books available on queen rearing and I wanted to make them available to the public. I put most of these on my web site after I finally found them, but wanted to make them available in a book as well. I think these men laid the groundwork and worked out the details of practical systems of queen rearing. Pellet did a lot of distilling down of the various systems, which is very valuable, Smith perfected a lot of what Doolittle started. 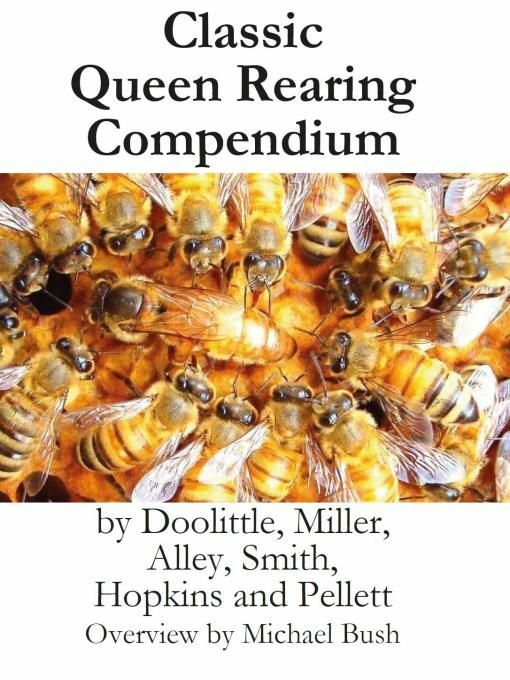 Miller and Hopkins were the queen rearing examples for the beekeeper who just wanted a few good queens for themselves. If you want to raise queens, these books are the place to start.